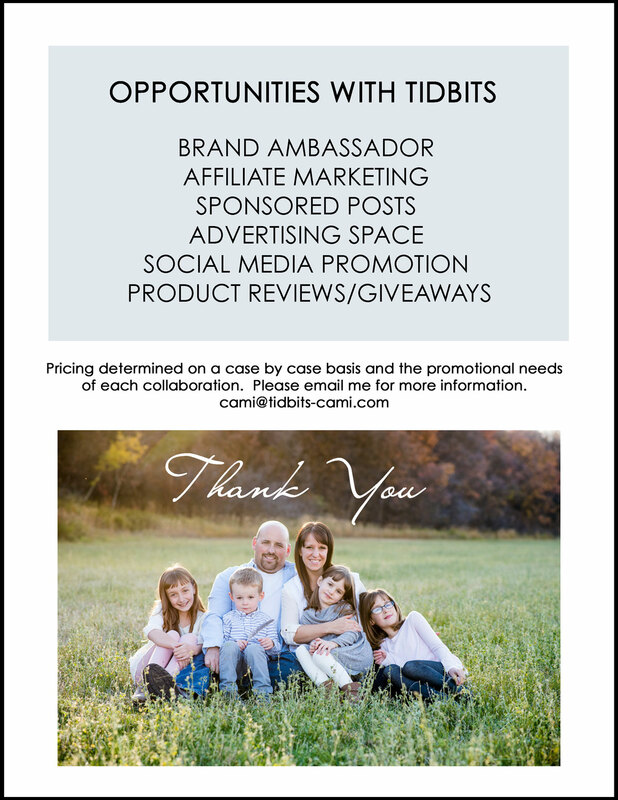 Thank you for your interest in working with TIDBITS! 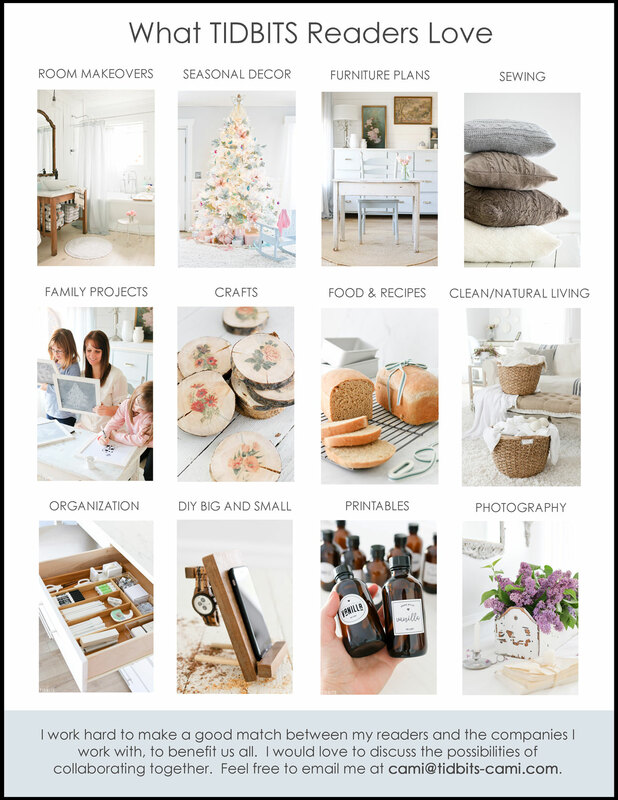 You can view, download and/or print my 3 page media kit by CLICKING HERE. 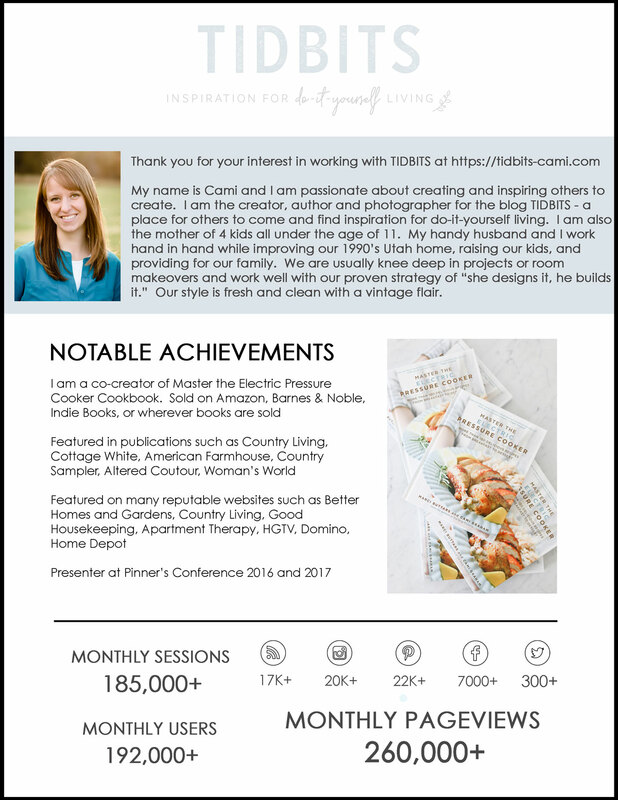 If you would rather a copy sent via email, send your request to cami@tidbits-cami.com. If you are looking for more details on promotional opportunities, click HERE. If you would like more information about me, click HERE.